These website have some restrictions and may have ads displayed on pages. I am sorry for this inconvenience. I will be try to find final solution soon. IF YOU WANT BOOKMARK THESE LINKS! I have received an annual bill and it was about 400% percent higher than a year ago. So I have no option and I must to close this website and release the domain name truckpol.republika.pl. On the Road – the next truck simulator only for the PC by the developer Toxtronyx is currently in an advanced stage of development. As you maybe remember ToxSick Labs made the first commercial addon for TML Studios’ City Bus Simulator 2010. If you want, use currently open the Early Access phase on Steam to have influence on game building and mayby your wishes and ideas have a chance to be included. On The Road truck game give you possibility to explore Germany’s roads already – for a discounted price 14.99 EUR. 3D Blender version 2.78c was released on February 28, 2017 since last TruckPol website update. The both of 32 and 64 bit version of this application are available to download from Blender Foundation . An updated Blender 2.78a version was released on October 26, 2016. That release has 69 important bug fixes. The update Blender 2.78b was released on February 8, 2017. Due to an error in the binary, a 'c' version was released on February 28, 2017. Check the 2.78c full changelog. Spherical Stereo images rendering support for VR. Grease Pencil is now a full 2D drawing & animation tool!. Bendy Bones, powerful new options for B-Bones. Alembic support: import/export basic operators. This application is necessary to edit 3D SCS game models. SCS Software is working on update 1.23 for ETS2, and 1.2 for ATS. One of the major features coming with the updates is support for Steam Workshop. Each player will be able to rate any mod, so high quality mods should quickly rise to the top. You will be able to sort mods by rank, popularity, or browse the most recent ones. If you are interested this topic find more information at SCS Blog website. There was be wonderful day for TruckPol in normal time. This day was 16th anniversary of TruckPol website & community existence on the network. The first TruckPol information was published here on March 14th, 2001. Courtesy my friends as Pavel, Michal (SCS Software), Igor (SoftLab-Nsk) and others (ValuSoft, 1C) and of course my Forum Administrators and Moderators and some my old truck fan friends - this website were exists. Thank you for your help and support and your visits here in this period of time. 3D Blender version 2.76 was released on on October 9, 2015. The both of 32 and 64 bit version of this application are available to download from Blender Foundation . Blender now requires OpenGL 2.1 minimum. As usually, hundreds of bugs fixed and other improvements! 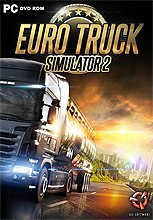 One of the SCS team is preparing a new major DLC expansion for the Euro Truck Simulator 2 game. It will be expanding a little France region we have in the game now to cover the whole country. This also includes a lot of touches to the existing areas (total overhaul of Paris region for example). The changed parts of the world will of course still be accessible in the base game, even if they are upgraded visually. Here is a couple of France DLC images from a more rural part of the world. It's work in progress still (you will notice some placeholders for new trees and shrubs in some of the shots). Two weeks after American Truck Simulator was released we have a pleasure to see he legendary Kenworth W900 truck in game. The W900 truck is a free DLC that it will be updated automatically ATS game through your Steam account. So, summary we have 3 trucks in game now. As you probably already know ATS officially only support 64-bit Windows/Linux/Mac operating system. 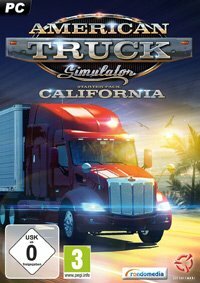 So if you are still unsure whether to take the risk and buy the game for fear of technical incompatibility, SCS announces the availability of a free American Truck Simulator demo on STEAM Platform. The demo is limited by the number of jobs taken and only contains the state of California, but technically it's identical with the paid game itself. If you purchase the game after playing the demo, you can continue driving where you have left off, as the save game stored in the demo mode is compatible with the full ATS game. I would like to remind you about an exclusive steam-punk paint-job bonus DLC. It can be yours in exchange for "following link" on American Truck Simulator Steam page.